If you are a proponent of sustainability, you may have heard the term ‘circular economy’ bandied around of late. But what is it, exactly? And if it’s a good thing for the planet and for business, how do you get on board? Simply put, the circular economy replaces the model of manufacture/use/dispose with one of reduce/reuse/recycle. It’s pretty safe to say that anybody who is reading this has heard the latter terms grouped together in exactly that way. So, in essence, it’s nothing new, it’s just a new way of approaching what we do on a daily basis – with a keen eye towards sustainability and minimizing any environmental impact. Much like the cycles of nature itself, the circular economy seeks to eliminate excess production and incorporate any byproducts and waste back into a lifecycle that is useful and, when managed judiciously, profitable. Many companies are applying circular economy principles in their efforts to reduce carbon emissions. New product designs are being reimagined to support this effort. For instance, when products are easy to take apart and break down, they can more quickly be reintroduced to the production cycle. To this end, components are being designed with the specific goal of being able to reuse them in a closed loop. The result? We reduce carbon emissions, lower the stress on our landfills, and inject efficiency into our manufacturing processes. How businesses and consumers can support a circular economy? 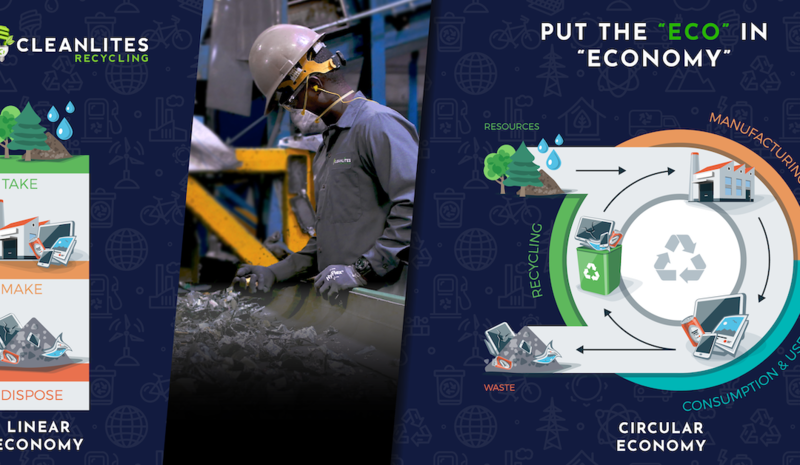 It may seem quite obvious, but if we were all to put some effort into it, we could make some serious inroads into supporting the goals of a circular economy. For instance, when upgrading to new workstations or technology, companies could think about donating their old tech to underfunded programs, public libraries, and so on. Consumers could choose not to purchase disposable/unrecyclable items or to pass our unwanted items along to others instead of throwing them away. How can businesses benefit from the circular economy? In the circular economy, the emphasis is on biodegradable materials when possible so that when items reach the end of their usefulness, they are returned to the natural ecological processes of the earth. When it just isn’t possible to dispose of goods and components without environmental impact, the focus shifts to repurposing. If parts can be reintroduced into the manufacturing cycle, it supports efficiency, reduces waste, and saves companies the time and resources of having to make these parts from scratch. The result is that production costs are reduced, which may even result in a lower cost to the consumer. In some cases, however, it is not possible to repurpose certain items or to dispose of them without concern. When items cannot be reintroduced into the manufacturing process, they should be disposed of in a way that is kind and respectful to the environment. With several locations across the United States, Cleanlites Recycling is committed to environmental excellence and to being on the leading edge of sustainability and accountability in recycling. If you would like to learn more about how your business can benefit from the circular economy, reach out today. We would love to show you how we can help.